With the advancement of building and construction material technology, an entirely new concept of a roof has evolved. Your roof can now provide an integrated system capable of climate regulation, giving your house the ability to self regulate, and making it more energy efficient and comfortable. These materials also decrease susceptibility to external wear and tear and provide the roof with a longer functional life. An effectively designed and professionally installed roofing system is essential to this concept. 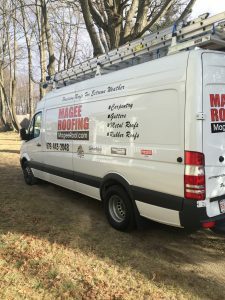 At Magee Roofing, we start with a thorough roof inspection, including an analysis of the roof and all sections of the home adjacent to the roof. We will then will provide a free written estimate with a detailed description of the work to be done and materials we will use. What you can expect from our free estimate and inspection.